“I’ve been working with Duane for the past two years since I started training for my first Ironman. I can’t say enough good things about our work together. Duane is as knowledgeable a tri-coach as I have ever met in all three disciplines plus strength training (I should note that I am a sport psychology consultant to USA Triathlon, so I work with a lot of coaches). His training programs are thorough, detailed, and organized. They provide an exceptional balance of endurance, speed, strength, and recovery. I was well prepared for my two Ironman races and achieved my goals because of Duane’s coaching. -- Kevin Kinkor, GGTC Ironman group participant and 1st time Ironman finisher. --Andreas Wolf, GGTC Ironman group participant and 1st time Ironman finisher. 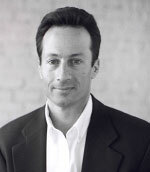 -- David Hearth, cycling and tennis enthusiast with an active family, and corporate lawyer." -- Grant Richards, Multiple Ironman Hawaii and Advertisement Executive. “Duane Franks is a lot more than a triathlon coach. He is an enthusiastic evangelist for the "holy trinity" of sports who persuaded me to sign up for the 1998 Escape from Alcatraz. I was 40 years old and did not know how to swim; I had a lifelong fear of water. Duane was not going to give up on me, failure was never an option. He set me up with a coach and a training group that swam in a four foot pool. It didn't matter that I am six feet tall, that pool might as well have been the San Francisco Bay. I swallowed a lot of water as I learned to swim and my terror grew whenever I ran or biked at the Marina Green. I would look at Alcatraz and think "My God, what am I doing?" Duane would remind me that if I could lose almost 200 pounds, I could do the Escape from Alcatraz and inspire a lot of people to get off the couch and get healthy. Thus reassured, I relaxed and kept practicing and one day I magically was able to swim. Race day came and I will never forget the triumph I felt as I completed the swim. I was truly baptized into the sport of triathlon and ready for more. 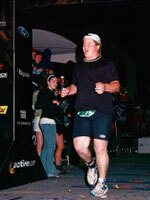 The following year I attempted Ironman Canada and DNF'd, missing the bike cutoff by five minutes. The year after that, I attempted the inaugural Ironman California, once again I DNF'd by missing the bike cutoff. I took a year off from racing an Ironman and thought long and hard about what I needed to successfully finish a race. I realized that the answer was with me since my first race. I was able to figure out how to lose almost 200 pounds in four years, I just couldn't figure out how to go 140.6 miles in one day. I needed experience, accountability and an attention to detail. I needed Duane Franks. I would highly recommend Trifiniti coaching to anyone interested in endurance sports such as triathlon. I felt that, with the group Ironman training program, I was guided to increase my endurance, strength, and speed, gradually but steadily in a safe and effective way. The workouts were challenging but I felt like I was well-prepared. Coach Duane's background in exercise physiology gives him expertise on many issues relevant to triathlons and other endurance events. As an athlete with type 1 diabetes, I have felt comfortable discussing additional issues that I need to consider when training for triathlon. The combined forces of Coaches Duane, Dorette, and Nate give Trifiniti a depth and breadth of knowledge to help train any athlete, from beginner to elite. Over the years, I have appreciated Duane's approach to understanding my goals and intuiting what approach would be best for me; he takes the training seriously, but still guides the athlete in a way that the sport remains enjoyable. I have enjoyed the many venues for our group workouts, and have especially appreciated the support on course from Trfinit coaches for our long rides and runs throughout the Bay Area.